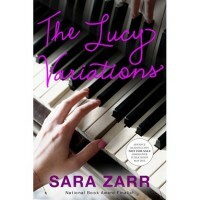 All I really knew about this book was that it was written by Sara Zarr, who I have enjoyed in the past, and it had to do with music, which I love. And I was not disappointed. 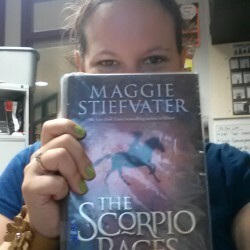 Lucy grew up in a world completely foreign to me, but it didn't feel foreign while reading it. I was impressed with how easy it was to feel how it would be growing up in a household such as Lucy's and Gustav's. Zarr transported me to a world completely unfamiliar to me and I felt like I was part of it. More importantly, I felt I was part of the relationships within the story. Lucy has a tendency to be selfish without even realizing it. Everything about her - from her selfishness, her indecisiveness, her friendships, her relationships with her family members - felt real. Nothing was perfect, as is the reality of life. There were parts that made me talk aloud to her, like she was sitting right next to me and could hear my advice to her. "No, you shouldn't be yelling at that person, you need to yell at this person." Alas, she didn't hear me and yelled at the wrong one. But still. I cared about her and how her choices were effecting herself and her family and friends. I don't think Zarr could have ended it better, though. Her choices led her to a life that she chose, not that was chosen for her.And that's an important lesson in life, for all ages.